We get a lot of questions about the uses of whey protein. As a result, we did some nitty-gritty research on how this protein can potentially impact levels of the 30 blood biomarkers that InsideTracker monitors. In this first blog post of a three-part series, we will explain research examining how the consumption of whey protein may be a valuable intervention in reducing chronic stress by regulating levels of cortisol and serotonin. Before we do that, we will define what chronic stress actually is and then look at the chemical structures and physiological functions of whey protein, cortisol, and serotonin. Continue reading below to see the research and learn how InsideTracker can both monitor your biomarkers and provide you with well-researched interventions to get them to optimal levels. In today’s competitive and demanding society, it seems that everyone is always “stressed out” -- and for good reason: the economy still isn’t great; the kids need to be picked up from their twice-rescheduled sports practices; your in-laws are coming to visit; and Miley Cyrus won’t stop sticking out her tongue. But what does this seemingly ubiquitous term mean in the context of our health? Stress is often regarded by researchers as a vague and highly subjective experience for individuals. But, it is most commonly defined as “the brain’s response to any new demand” (NIMH). This “demand” may be triggered by a variety of changes that can be short-term or long-term, positive or negative, real or perceived. For example, a vacation to Cancun for the first time fits under the broad umbrella of “stress.” Stress is a natural response to a new demand -- and one with biological significance. It keeps one motivated, alert, and ready to cope with the challenges of a work deadline, a new responsibility, or prepared for a variety of high-stakes situation such as a musical performance, athletic competition, or a very promising first date with that cute person from Starbucks. However, prolonged, sustained stress- referred to as “chronic stress”- is known to have serious, detrimental effects on the long-term mental and physical health of individuals. Harmful forms of stress can include traumatic stress, such as a near-death experience, routine stress such as a lengthy, daily commute to work, or emotional stress such as the loss of a loved one (NIMH). Over time, continued strain on one’s body from routine or traumatic stress can result in a variety of health concerns including impaired brain cognition, high blood pressure, a weakened immune system, high levels of glucose, heart disease, high blood pressure, and depression. Above all else, chronic stress can make us less happy. Only within the past 20 years have researchers begun to investigate some of the potential methods of treating stress and its symptoms. In this article we explore in depth how bovine whey protein can help treat symptoms associated with stress by regulating levels of two biomarkers monitored by InsideTracker, the hormone cortisol and the neurotransmitter serotonin, through its main bioactive protein component Alpha-lactalbumin. This is cutting-edge science and Insidetracker can help you both monitor biomarkers such as cortisol and make appropriate interventions. Whey is commonly thought of by the public to be a muscle-building protein used by athletes and bodybuilders seeking to build muscle and improve physique and athletic performance. However, this is only one of whey’s many physiological purposes. The term “whey” actually refers to a substance composed of a combination of protein and lactose, along with small amounts of minerals and fat found commonly in cow’s milk. Protein- which is the most abundant component of the dry part of whey- is composed of approximately 65% Beta-lactoglobulin, 25% Alpha-lactalbumin, and variety of other albumins and immunoglobulins (Huag, 11). Bovine Alpha-lactalbumin is abundant in the amino acids tryptophan and cysteine, which are structural building blocks to many proteins including hormones, neurotransmitters such as serotonin, and structural components of muscle fibers. Additionally, it plays a crucial role in building a power antioxidant called glutathione, which also may assist with calcium transport (Davisco). 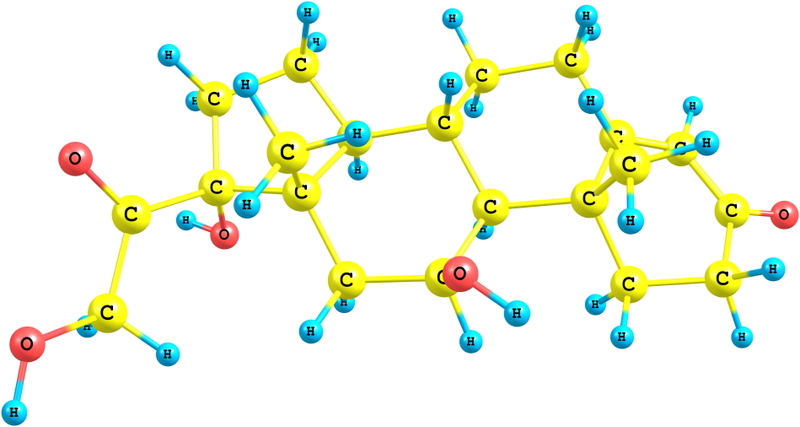 Bovine Alpha-lactalbumin is also highly homologous, or similar in chemical structure, to human Alpha-lactalbumin. As a result, the human body can easily break it down and synthesize useful compounds. In contrast to Alpha-lactalbumin, which is biologically active in humans and commonly found in most other varieties of mammalian milk, Beta-lactoblogulin is abundant only in cow and sheep milk and its purpose is unclear to scientists and researchers. Together, all of these whey proteins compose approximately 20% of the proteins found in cow milk; the other 80% of proteins are classified as casein protein (Hoffman, 118). Modern technology has improved dramatically in the past decade, allowing companies to isolate some of whey’s highly bioactive peptides, such as lactoperoxidase, which are present in very small quantities in cow’s milk. 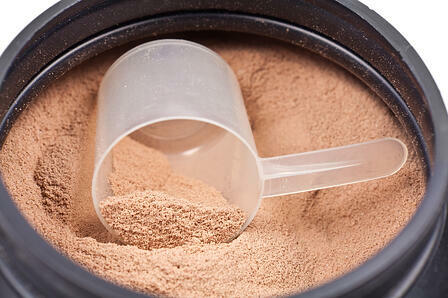 Manufacturers can also now isolate “native whey”- a pure form of whey protein devoid of casein, fat, and lactose. As a result of these technological advances, there has been a keen interest by members of the wellness and scientific communities to learn more about potential health and wellness properties that whey protein may possess besides muscle construction. Some research studies suggest that whey protein, especially its main active component Alpha-lactalbumin, may help reduce levels of cortisol while simultaneously increasing production of serotonin. We will explore in-depth the mechanism by which whey protein reduces cortisol levels, improves serotonin production, and ultimately helps to mitigate conditions such as stress, depression, and immune suppression that are detrimental to the mental and physical health of the body. Cortisol, one of the 30 blood biomarkers InsideTracker monitors, is an important steroid hormone secreted by the adrenal glands located on top of the kidneys. Cortisol is involved in a variety of functions, namely regulation of blood pressure, insulin release for blood sugar maintenance, suppression of the immune system, and glucose metabolism (Scott). Although stress isn’t the only reason that Cortisol is released into the blood stream, it is secreted in higher levels during the body’s response to stress and is responsible for several stress-related changes in the body. When the body is under short-term stress, such as during an athletic competition, the adrenal gland increases secretion of Cortisol in the “fight-or-flight” process. Short-term, this hormone can help aid in survival, for example, by mobilizing energy reserves. However, when the brain and body are experiencing chronic stress, cortisol levels will remain elevated and curb growth and reparative processes of the body by suppressing the immune system response, the digestive system, the reproductive system, and muscle growth (Scott). Oftentimes, cortisol works antagonistically with hormones associated with growth and building properties such as testosterone. In fact, it is widely accepted by researchers that a prolonged low ratio of testosterone to cortisol results from “an imbalance between the overall strain experienced during exercise training” and that ultimately “the athlete's tolerance of such effort may induce overreaching or overtraining syndrome” (Urhausen, 252). Because of Cortisol’s emphasis on catabolic over anabolic process, prolonged, elevated levels of Cortisol in response to chronic stress are harmful to the body. As a result, cortisol is associated with health detriments such as impaired cognitive performance, suppressed thyroid function, blood sugar imbalances such as hyperglycemia, decreased bone density, a decrease in muscle tissue, and an increased rate of aging in body tissues. High cortisol levels are also associated with mental ailments such as depression and high anxiety (Scott). Whey protein’s primary active component -- bovine Alpha-lactalbumin -- stimulates constructive process in the body. Therefore, we would anticipate that it works antagonistically to cortisol. How does it do this? We will explain the biochemistry behind this more thoroughly in the research section. But first, let’s talk about serotonin. What is Serotonin and What are its Effects? 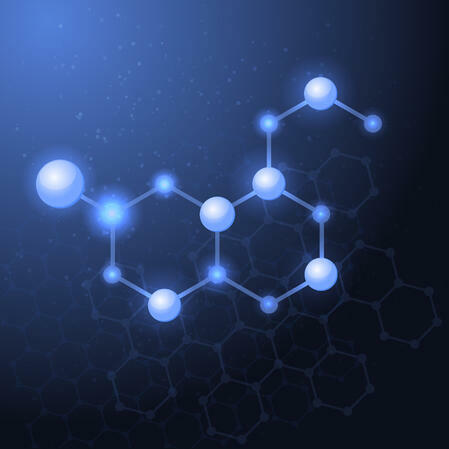 Cortisol is often contrasted to its more angelic counterpart: the neurotransmitter serotonin (also known chemically as 5-hydroxytryptamine or “5-HT”). While excess production of cortisol is known to have harmful effects on the human body, serotonin is not known to be as double-edged. People experiencing elevated levels of serotonin have a variety of positive effects and it is not usually elevated to harmful levels unless an individual suffers from one of a few rare diseases or takes anti-depressants (Young, 395). Serotonin was discovered in the late 1940s and was quickly related to the central nervous system. By the late 1950s, scientists started to unveil that serotonin impacted a multitude of different areas of the body, including the cardiovascular system and the gastrointestinal tract, by attaching to receptors throughout the body. Today, there are a total of 15 known serotonin receptors in the body expressed outside as well as within the brain and approximately 90% of all serotonin is found in the gastrointestinal tract (Berger, 355). Elevated levels of serotonin are associated with improved mood and brain cognition while lower levels are associated with depression (WebMD). Scientists are uncertain, though, whether or not low levels of serotonin induce depression or if depression results in low levels of serotonin. It is commonly believed that medications such as selective serotonin reuptake inhibitors (SSRIs) can affect the levels of serotonin the body by working as an antidepressant. The underlying mechanism behind SSRIs is not fully understood (WebMD). In addition to mood regulation, serotonin also helps with brain cognition. Serotonin is synthesized from its precursor the amino acid tryptophan. Two enzymes are involved in the synthesis of serotonin: tryptophan hydroxylase and aromatic amino acid decarboxylase. Tryptophan and cortisol are produced through similar mechanisms. However, when the ratio of tryptophan to other large neutral amino acids such as phenylanaline and tyrosine increases, a figure also known as the “Trp:LNAA ratio”, the production of serotonin theoretically increases resulting in fewer depressive symptoms . Even though it is difficult to measure serotonin levels in the body, the association between a high Trp:LNAA ratio and reduced stress-related symptoms resulting from increased serotonin levels was first supported in 1989 by a group of researchers (Rosenthal, 1029). Generally, proteins are poor in tryptophan in comparison to the other large neutral amino acids (Lieberman, 211). However, because whey-derived Alpha-lactalbumin is abundant in tryptophan, researchers were curious to see whether or not a diet rich in its consumption had an impact on the Trp:LNAA ratio, the production of the biomarkers serotonin and cortisol, and depressive and stress-related symptoms. Thus, experts throughout the world in the fields of biochemistry, pharmacology, and nutrition produced several high-quality research studies which you can read about below. To assess whether or not whey protein contributed to suppression of cortisol levels, a group of Dutch researchers led by C. B. Markus performed a double-blind study comparing a sample size of 23 “stress-vulnerable” subjects with high levels of salivary cortisol (sampled via saliva) with 29 “relatively stress-invulnerable” subjects with low levels of salivary cortisol. The researchers also documented that the stress-vulnerable population had relatively high levels of fatigue, anger, and tension while the stress-invulnerable population has relatively low levels of these stress-associated symptoms. The researchers set up both subject groups with nutritionally identical diets – except they provided casein-protein to the “low-stress” individuals and whey-derived protein to the “high-stress” individuals. The researchers based their intervention on the fact that whey protein’s primary active ingredient -- Alpha-lactalbumin -- consists of a high ratio of the amino acid trypotophan (trp) in relation to other large neutral amino acids. As previously stated this ratio, which is often denoted as “the plasma Trp-LNAA ratio”, is considered to be an indirect indication of increased production of serotonin by the brain and decreased cortisol levels. Therefore, the researchers hypothesized that by adding increased Alpha-lactalbumin to the diets of the high-stress individuals, they would increase their plasma Trp-LNAA ratio and subsquently lower cortisol levels while simultaneously increasing levels of Serotonin. This would ultimately lead to lower depressive symptoms in the stress-vulnerable population. In the stress-vulnerable group fed the whey-derived Alpha-lactalbumin diet, the ratio of plasma tryptophan to other amino acids was 48% higher than in those on the casein diet (Markus, 1048). In stress-vulnerable subjects, this was accompanied by a decrease in cortisol levels and fewer feelings of depression and anxiety which are associated with higher levels of serotonin. In contrast, the less stress-vulnerable population who did not consume Alpha-lactalbumin experienced no significant changes in levels of serotonin, cortisol, or stress-associated indicators. Because of these findings, the investigators concluded that the results “suggest that enhancing the tryptophan availability in the brain leads to a clear effect on performance, although only in stress-vulnerable individuals” (Markus, 1055). Given these interesting findings, many other researchers became curious to assess whey’s ability to help individuals cope with stress-related symptoms by increasing the trp-LNAA ratio and subsequently reducing Cortisol levels and increasing levels of serotonin. In this first blog post of a three-part series, we looked at the basics behind stress, cortisol, serotonin, and whey protein. However, there is an abundance of fascinating literature looking at Alpha-lactalbumin’s impact on stress, cortisol, and serotonin, and we will explore that closely the third blog post. Before that, though, I will examine my personal battles with stress and some useful coping methods I will be implementing courtesy of InsideTracker’s cutting-edge, customizable recommendation engine. Perhaps I can optimize my non-optimal cortisol level… and maybe you too, can optimize your cortisol levels along with 29 other biomarkers, with the help of InsideTracker! What is your cortisol level? Get tested and get an inner edge. Berger, M., Gray, J., & Roth, B. (2009). The Expanded Biology of Serotonin. Annual Review of Medicine, 355-366. Haug, A., Hostmark, A. T., & Harstad, O. M. (2007). Bovine milk in human nutrition–a review. Lipids Health Dis, 6(1), 25. Hoffman, J. R., & Falvo, M. J. (2004). Protein–which is best? Journal of sports science & medicine, 3(3), 118. Lieberman, H. R., Caballero, B., & Finer, N. (1986). The composition of lunch determines afternoon plasma tryptophan ratios in humans. Journal of neural transmission, 65(3-4), 211-217. Markus CR, Olivier B, Panhuysen GE, et al. The bovine protein alpha-lactalbumin increases the plasma ratio of tryptophan to the other large neutral amino acids, and in vulnerable subjects raises brain serotonin activity, reduces cortisol concentration, and improves mood under stress. Am J Clin Nutr. 2000;71:1536-1544. NIMH. "Fact Sheet on Stress." NIMH RSS. National Institute of Mental Health, n.d. Web. 11 Nov. 2014. Rosenthal NE, Genhart MJ, Caballero B, et al. Psychobiological effects of carbohydrate- and protein-rich meals in patients with seasonal affective disorder and normal controls. Biol Psychiatry 1989;25:1029–40. Scott, E. (2014, September 13). What You Need to Know About the Stress Hormone. Retrieved November 12, 2014. Scrutton, H., Carbonnier, A., Cowen, P. J., & Harmer, C. (2007). Effects of α-lactalbumin on emotional processing in healthy women. Journal of Psychopharmacology. Urhausen, A., Gabriel, H., & Kindermann, W. (1995). Blood hormones as markers of training stress and overtraining. Sports Medicine, 20(4), 251-276. WebMD. Depression (major depressive disorder). (n.d.). Retrieved November 12, 2014.